We focus on the cultivation of Bombino and the “rosé common wine”. 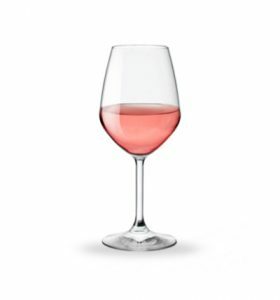 From the fruity notes, which recall hints of peach and strawberry, have an alcohol content of about 12%. They are the ideal pairing for lightly seasoned cheeses and sea courses. Fragrance and Taste: fruity with peach, strawberry and cherry smell, fresh, savory and persistent taste. Vinification: Manual harvest, stripping to separate the berries from the stalks, maceration at 5-6 ° C for 3-5 hours, separation of the must and soft pressing of the marc, static decantation of the must at 8-10 ° C for 18 hours, purification and fermentation at controlled temperature (14-16 ° C) in a steel tank for 14-18 days. Fragrance and taste: fresh and fruity with hints of apricot and gooseberry, savory and persistent. Food pairing: excellent with appetizers and white meats. Production area: hills of the Alta Murgia, territory of the municipality of Andria and Canosa di Puglia. Vinification: Manual harvest, destemming of the grapes maceration at 5-6 ° C for 3-5 hours, separation of the must and soft pressing of the marc, static decantation of the must at 8-10 ° C for 18 hours, decanting of the clear and fermentation at controlled temperature (14-16 ° C) in a steel tank for 14-18 days.